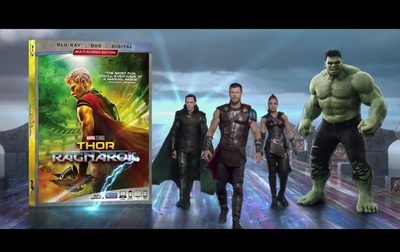 Thor: Ragnarok is superhero film set in the Marvel Cinematic Universe. This trailer advertises the home release of the film. Thor: Ragnarok stars Chris Hemsworth, Tom Hiddleston, Idris Elba, Cate Blanchett, Jaimie Alexander, Benedict Cumberbatch, Karl Urban, Anthony Hopkins, Mark Ruffalo, Tessa Thompson, Ray Stevenson, Jeff Goldblum, and Sam Neill.